His full name is Frank Richard Beckwith, but his friends call him “Rick”. Here at the office, we call him Dr. “B.” Dr. Beckwith is a Colorado native who received his Bachelor of Science and Doctor of Dental Surgery (D.D.S.) degrees from the University of Colorado. He graduated as the valedictorian of his dental class in 1994 and received his Master of Science degree in Oral Biology and his orthodontic specialty certificate from the University of Missouri at Kansas City in 1996. 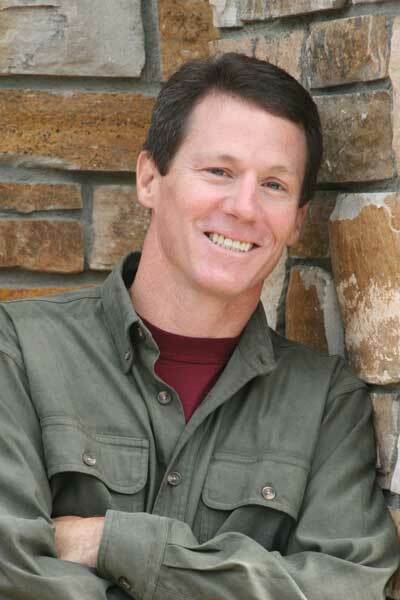 Dr. Beckwith purchased our Longmont office in 1996 and opened our second part-time location in Berthoud in 2008. He makes his home in Longmont with his wife, Dr. Carmen Beckwith, a dentist practicing in Berthoud, and their children, Zack and Lindsay. In addition to his ongoing passion for orthodontics, Dr. Beckwith enjoys running, skiing, triathlon training, and watching his children participate in their many activities. Dr. “B” is driven to be the best orthodontist that he can be. In striving to achieve that goal, he treats every patient, parent and office team member with the utmost respect, always taking the time to answer questions and keep everyone informed of all aspects of treatment. Being the best involves more than just providing the highest quality and best looking orthodontic results. Because the orthodontic profession is continually improving and changing, Dr. Beckwith reads and attends extensive and ongoing continuing education to remain aware of the latest advancements in orthodontic techniques and materials. Being mindful of research and development in orthodontics also allows Dr. Beckwith to introduce new technologies in our office as soon as they are proven to be successful and beneficial to our patients. Dr. Beckwith has completed all aspects of his orthodontic specialty board certification and has been awarded lifetime certification by the American Board of Orthodontics (ABO). Historically, only about 20% of orthodontists have completed all aspects required for board certification. His master’s thesis was an “Evaluation of Factors that affect the Duration of Orthodontic Treatment.” Due to its quality and relevance, the resulting article was published with high priority by the main journal for the orthodontic profession, the Journal of Orthodontics and Dentofacial Orthopedics in April 1999. His research continues to be cited and referenced regularly by subsequent authors. Dr. Beckwith’s favorite parts of being an orthodontist are getting to know his patients as individuals and seeing that first beautiful/handsome and joyous smile when we have completed treatment and removed the orthodontic appliances.